The number of H1N1 cases worldwide now stands at 787 with two additional deaths reported in Mexico, the World Health Organization announced early Sunday. The Centers for Disease Control and Prevention in the United States has a tally of the states where the virus has been confirmed. 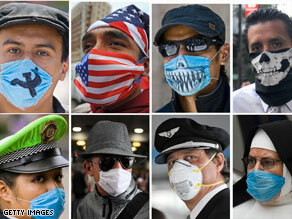 According to their latest figures, 21 states have tested positive for the virus. Several states have announced additional confirmed cases, but those were not included in the CDC total. New York has the highest number of confirmed cases with 50. Texas has 28 and California has 24. The other states include: South Carolina with 13; Massachusetts with eight; New Jersey with seven; Arizona and Delaware with four each; Illinois and Indiana with three each; Colorado, Florida, Kansas, Michigan and Virginia with two each; and Connecticut, Kentucky, Missouri, Minnesota, Nevada, Ohio and Rhode Island each have one.